Elevators are among the most visible and highly utilized assets in buildings today. They are the one system that tenants directly interact with. Their performance is part of the image of the facility and heavily influences the quality of the building as perceived by its tenants and visitors. In today’s environment, it’s more critical than ever for a building’s elevators to operate at maximum uptime and efficiency, and that facility owners and managers are realizing value from their partnerships with their maintenance providers. As more and more states look to the private sector to perform elevator inspections, our team of licensed elevator inspection experts have stood ready to provide comprehensive and professional elevator inspection services for all types of facilities and equipment. Each Pride and Service inspector is licensed and is familiar with all state and local codes and certification criteria. Our straightforward pricing and unparalleled customer service provide peace of mind to the building owners and managers we service. Our experts guide you through the elevator inspection process, and advise you on how to correct violations. Beyond inspections, should the elevators in your facility need service or more complex modernization work; our local consultants can advise you as to the best course of action. Is the elevator in good working order as it relates to: proper leveling, door reopening devices, button functioning, indicator lights, alarm bell, emergency telephone if available? Is the floor in each elevator and hoistway area well-maintained and free of slipping hazards? Is each elevator well-lit so that passengers can view misleveling easily? Does the elevator have working emergency lightings? Is the elevator clearly marked? While reading the questions above, if in your head you answered NO to any of the questions – you should give Pride and Service a call for corrective action. 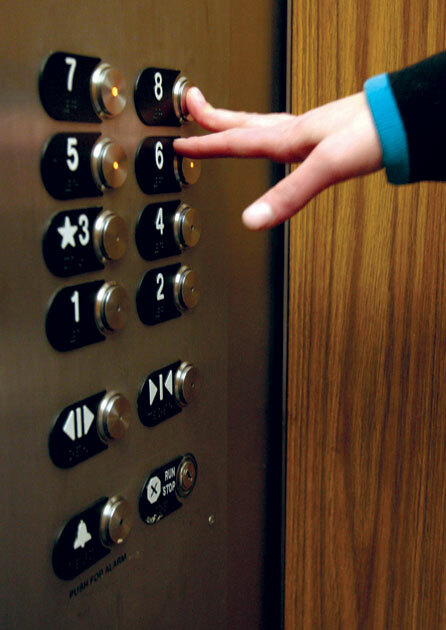 If you believe that you have an unsafe condition, remove the elevator from service prior to calling us. Elevator Safety Fact: the average industry waiting time for an elevator is 20 to 30 seconds. This is not a long period of time to wait in exchange for avoiding an injury. For all your elevator needs, including safety inspections, call Pride and Service Elevator.